A rollicking and unpredictable adventure through the world of spies and double agents, lovers and enemies (often one and same). It has been said that somewhere in the world you have an exact double. 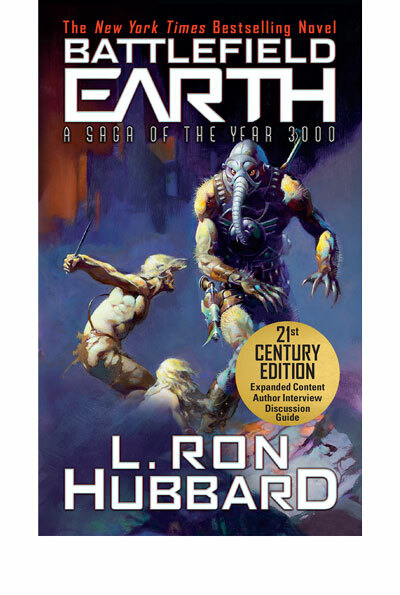 This rocket-ride of a novel ignites with the sudden cry of “Ai! 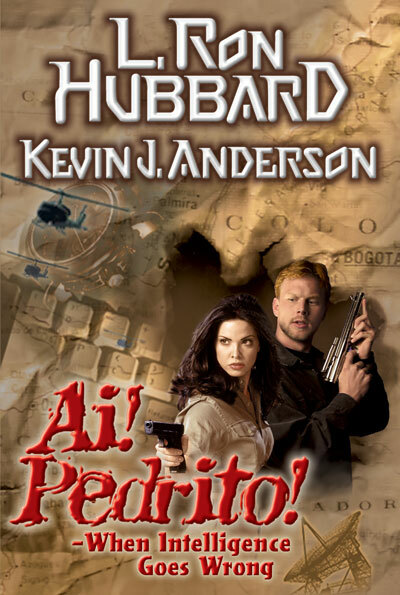 Pedrito!,” as Naval Lieutenant Tom Smith discovers that his exact look-alike is the notorious South American revolutionary and spy, Pedrito Miraflores. 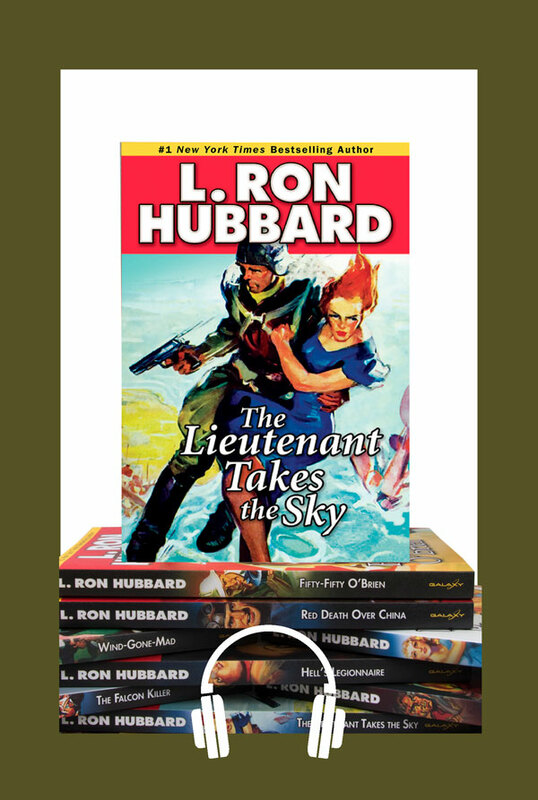 Inspired by a real incident in the life of L. Ron Hubbard, Ai! Pedrito! 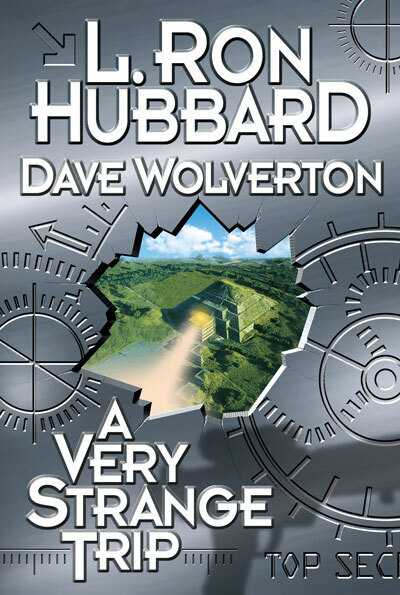 is a fun-to-read, compelling novel of what can sometimes happen when intelligence goes wrong. 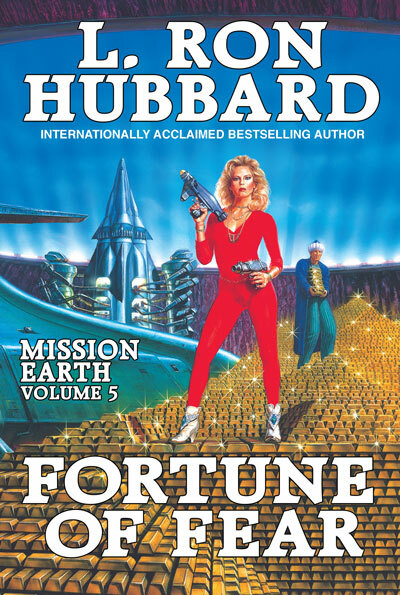 Among L. Ron Hubbard’s final works were two original screenplays, written in the early 1980s, designed to be full-length feature films. 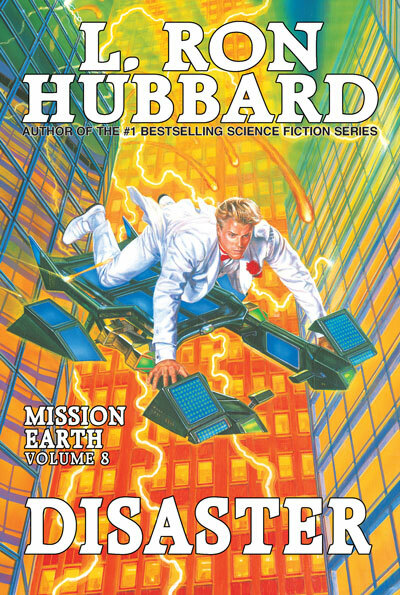 Mr. Hubbard suggested that they be adapted into novels by other writers, thereby providing them the unique opportunity of co-authorship. IN THE JUNGLES outside of Havana, Cuba, a squadron of black ducks crossed the sky at dusk, like bats. According to the tourist guidebooks it was considered a very bad omen. The ducks arrowed together, seeking evening prey among the numerous gnats and insects rising from the island’s steaming jungles. Then, as one, the flock of black ducks veered, quacking in instinctive fear as they skirted the imposing edifice of a grim fortress perched atop sheer, rugged cliffs high above the sea. Curling ocean waves crashed against the rocks below with a roar like a lion, guarding the citadel. The treacherous road that led up to the spiked front gate of Morro Castle stopped in an ancient courtyard. Knotted vines protruded from the ground, buckling the flagstones. No welcome mat lay at the foot of the barred wooden doors; the daily newspapers had not been delivered in some time. An ominous sign announced in Spanish No Soliciting. 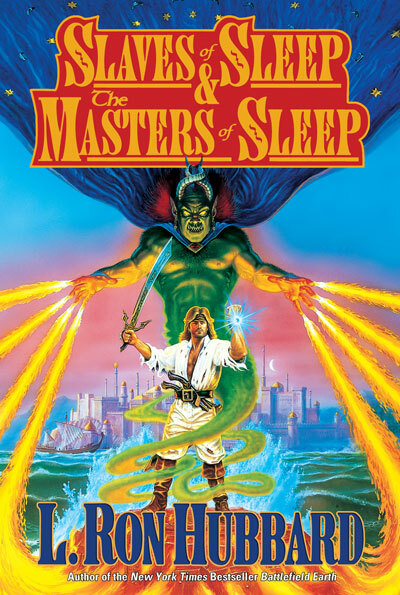 Over the years, the dark fortress had been used by an endless stream of torturers, mad scientists, and megalomaniacs with their tiresome schemes of taking over the world. By now, the locals had stopped paying much attention to Morro Castle, tending instead to their cane or tobacco fields, knowing that in an emergency some hero would eventually rectify the situation and all would go back to normal again. As the sun set across the Caribbean, and soupy clouds gathered for an evening squall, Morro Castle’s new inhabitants were up to the usual hi-jinks. . . .
“Asombroso!” cried the Cuban intelligence colonel, astounded as he sat back in a creaking wooden chair, clapping a hand to his head to hold his beret in place. His hair was black and thick, his bloodshot eyes dark and flashing. He wore a rumpled khaki uniform, adorned with numerous stars and medals he had pinned on himself. Some of them hung crookedly from his uniform, because when in front of a mirror, the Cuban colonel spent more time admiring his huge black beard than studying the neatness of his dress. The Russian stood up to place a SECRET folder on the rugged wooden table in the center of the chamber. Rusty manacles dangled from the edges of the table, and faded reddish stains adorned the hewn boards. Other torture instruments hung from hooks on the walls, available for the use of any of the castle’s tenants; all of the equipment had been left behind as a courtesy by the castle’s former inhabitants, before the revolution. “Our peerless KGB has verified it utterly,” Ivan said with a sniff. “I thought the KGB was disbanded with the fall of the Soviet Union,” Enrique said. As he looked more closely, Enrique saw that it couldn’t be the same man, not in the same place, not with the same clothes. Could it be some hoax . . . or was it exactly what they had been hoping for? Enrique shook his head in wonder. He was frankly baffled by capitalists and their strange way of life. The only time he’d ever seen a real, horrible capitalist tormentor was when he’d once been assigned to a firing squad detail, and he hadn’t really gotten a good look at the man through the gunsights. A reedy, nervous-looking aide hustled over to hover beside Colonel Enrique, awaiting his orders. Enrique ignored him. “I have more evidence that Miraflores has a double,” Colonel Ivan said. “We have an espionage photographer in New York. He operates as an undercover mime near the Office of Naval Intelligence. He took these photographs.” The Russian snapped his fingers, indicating an attaché case on a console. The reedy aide dashed over to the case, rummaging through papers and folders and antacid wrappers until he dragged out a sheaf of photographic enlargements, labeled Other Evidence. The aide handed the photos to Colonel Enrique, who fanned them out, staring at the top image. The curious aide crept close enough to peer over the Cuban colonel’s shoulder, but Enrique elbowed him sharply in the ribs; the aide scuttled away, holding his side. The color portrait showed a roguish man in stained jungle combat clothes and a big red star upon his cap. The cap covered shaggy red hair, as if he had sawed it to the proper length with a serrated knife. Two guns hung at his hips, a bandolier of bullets crisscrossed his chest, and several grenades had been clipped to his belt. “I am already quite familiar with our man Pedrito Miraflores,” Colonel Enrique growled. It was a formal studio portrait of what appeared to be the same person, the same red hair and blue eyes, but some sort of alter ego — this young man was an American naval officer holding his cap under his arm and staring with wide, bewildered eyes toward the camera. His red hair had been neatly cut and combed. Enrique shuffled up two more snapshots, one of each: Pedrito Miraflores swinging into a sports car on a Havana street, grinning hugely as if he knew he was posing for a spy camera. In the other photo, his spitting image, Lieutenant Tom Smith, stood looking somewhat mystified as he received an engineering award amongst top Navy brass. “Sí, Colonel! At once!” Maria seized the slip of paper, scanned the numbers, then stuffed the paper in her mouth, chewing it to bits before the colonel could stop her. He admired her dedication. There is no glossary for this title.